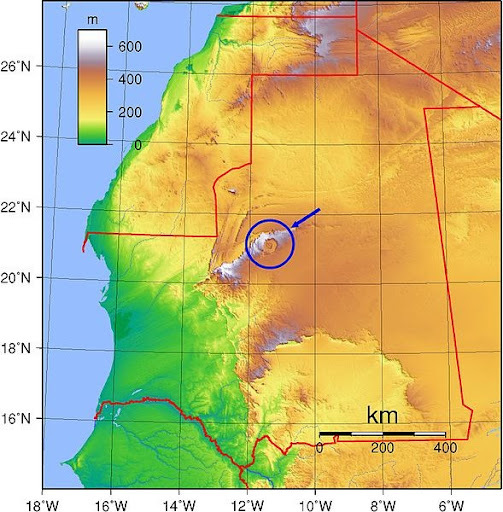 Extraordinary describes Richat – a thirty mile wide geologic anomaly surrounded by thousands of featureless Saharan square miles. 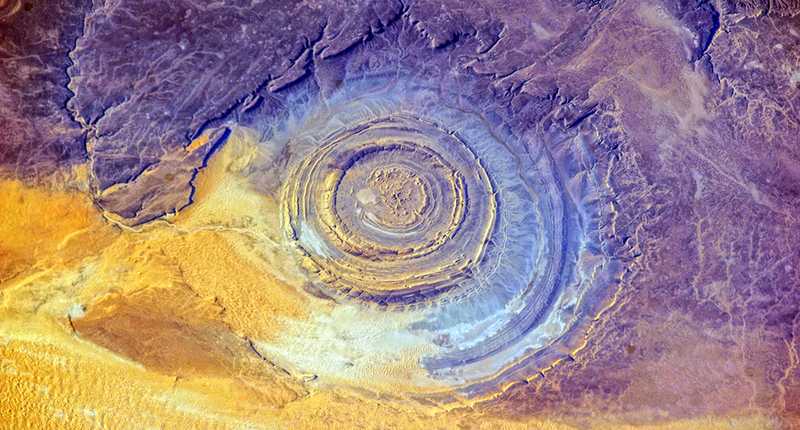 Dubbed “Eye of the Sahara” by men aboard our first space missions, pondering this curiosity from above led to initial assumptions Richat had to be a impact crater. 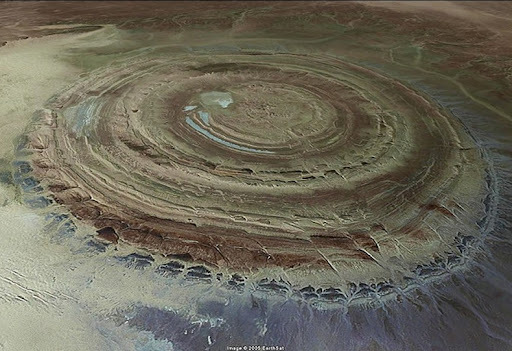 Located in west-central Mauritania, Richat proved to be anything but. Extensive research produced no evidence of impact. 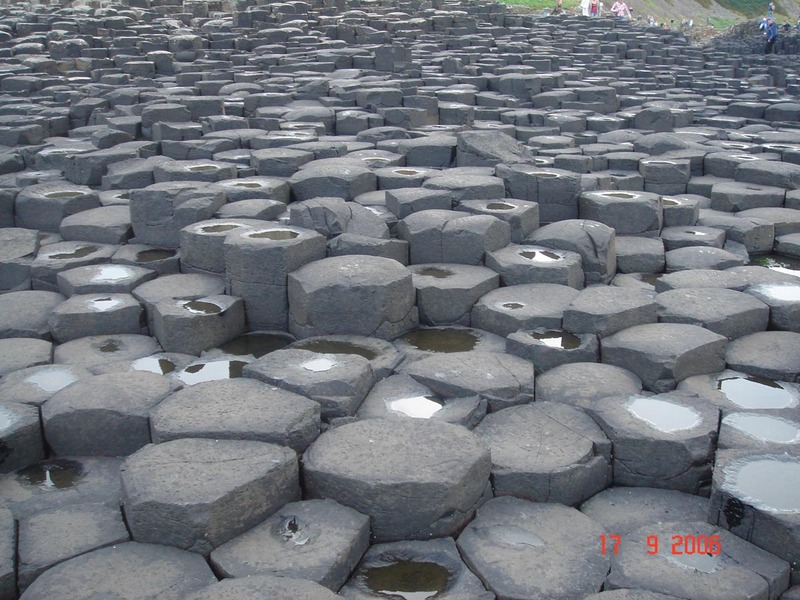 Geologists generally agree that layers, known as dikes – each one distinctive sedimentary rings dating from the Late Proterozoic (2.5 billion years) to Ordovician (480 million years) – are evidence of low temperature hydro-thermal erosion. 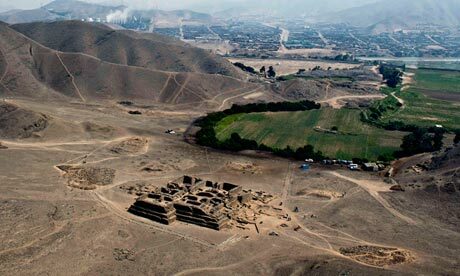 Columns left from volcanic eruptions. Atlantis main island according to the text of Plato in Timaeus and Critias, 360 BC. 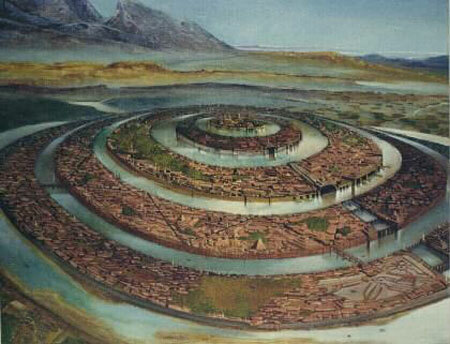 Not to be a party pooper but the chances of this being the lost city of Atlantis are slim to none. All the same. 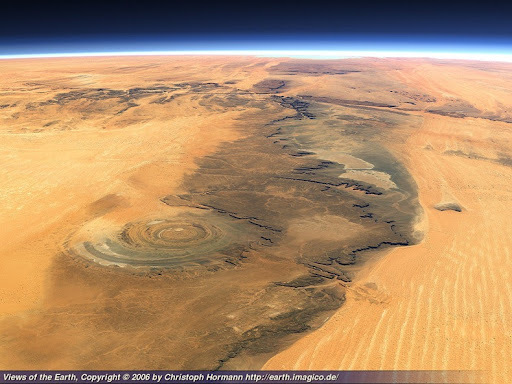 Richat deserves a ponder – the Eye of the Sahara is mesmerizing.